Elisabeth Krisoffersen from Norway with monofin. 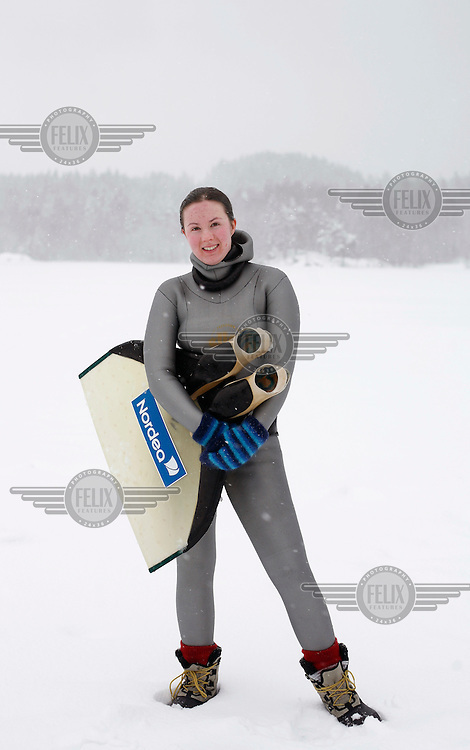 Freediving competition Oslo Ice Challenge at freshwater lake Lutvann outside the Norwegian capital Oslo. Atheletes, including current and former world champions, entered a hole in the ice to compete. The participants reached depths down to 52 meters below the surface.